The region of Alicante is famous for its turrón, a nougat candy often mixed with almonds or other nuts. Confectioners in the region abound, each claiming to be auténtico. 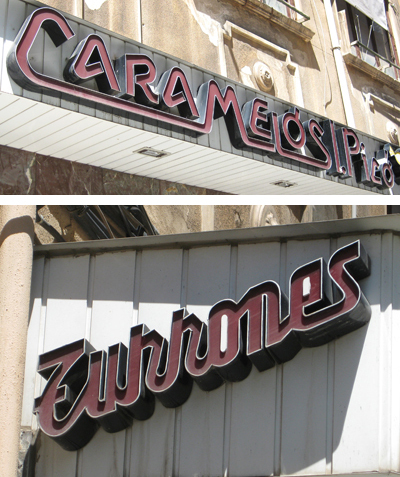 Consequently, signs advertising the sweet are plentiful, as are some pretty great lettering specimens. Check out the unusual construction of the T (at least to your average American English speaker’s eyes), a stylized remainder from Spanish handwriting.